So we need freedom – the right to chose our way of life – not because we need to move away from religion. We rather need it to be sincerely religious, in the way we understand it, in the way we genuinely feel about it. The lack of freedom not only breeds hypocrisy. It also deprives us from intellectual development. Many Muslim states have a tendecy to ban publications, books or simply ideas that are “against” Islam. They do this with the intention of protecting Muslim minds from “going astray.” What they rather do, however, is to keep Muslim minds isolated, incapable of articulating Islamic faith and values in an open, pluralistic world. Banning free speech seems to save us from the challenge of “harmful ideas,” but it actually deprives us from the intellectual of maturity that will come by facing them. It is no accident that the most succesful era of the Muslim civilization, from the 7th to the 13th centuries, was also the time Muslims were open to different ideas from different civilizations, such as Ancient Greece. Great Muslim thinkers and scientists emerged not by condemning Aristotle as a worthless “kafir,” but by reading him in the light of the Qur’an. It also no accident that our regreession as a civilization began when we condemned such cosmopolitanism and began to venerate parochialism and isolation, as shown in this book. Mustafa Akyol, a Turkish journalist and author, studied political science and history at Bogazici University, and teaches politics at Fatih University, both in Istanbul. For about a decade, he has been writing regular opinion columns for Turkish publications like Hurriyet Daily News, and recently for the Middle-East focused Al-Monitor.com. Since fall 2013, he is also a regular contributing opinion writer for The International New York Times. He has published five books in Turkish, including “Rethinking the Kurdish Question” (2005). 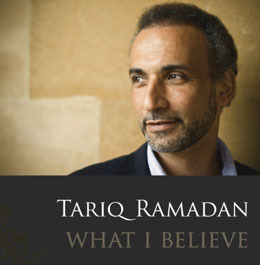 His latest book, “Islam Without Extremes: A Muslim Case for Liberty,” an argument for Islamic liberalism, was published in the United States in 2011 by W.W. Norton. The book was long-listed for the Lionel Gelber Prize, a literary prize awarded by the University of Toronto for the best nonfiction book in English that seeks to deepen public debate on significant international issues, and praised by The Financial Times as “a forthright and elegant Muslim defense of freedom.” Mr. Akyol is also a public speaker who has given lectures and talks on numerous platforms, including TED, where he spoke on “Faith vs. Tradition in Islam.” He has also been a commentator on public affairs programs, including the BBC’s “Hardtalk” and CNN’s “Fareed Zakaria GPS.” He is married — as not only the husband to a most amazing wife, but also the father of a most lovely young baby boy. He thanks God for them.